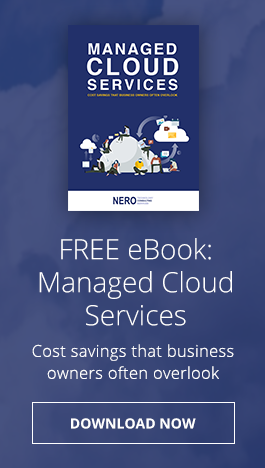 Nero Consulting is a Technology Consulting & Managed Services company offering cloud-based solutions and continuity strategies for businesses of all sizes across every industry. No issues are too big or too small for our highly trained, skilled consultants and technicians. Nero Consulting specializes in providing true protection and continuity for your business by eliminating the risk of downtime or loss of data with our rock-solid, never-fail Backup and Disaster Recovery (BDR) solutions and real-time Protection Management that keeps out viruses, spyware and other evolving threats. Setup of Hosted Communication Systems - Microsoft Exchange and VoIP - including cabling, switching, and routing. Reach out to us with any computer or technology question and we will do our best to service your needs while keeping your budget in mind. Call us today at 1-888-212-5307 to learn how our trusted technology solutions can alleviate your IT headaches and promote business growth.